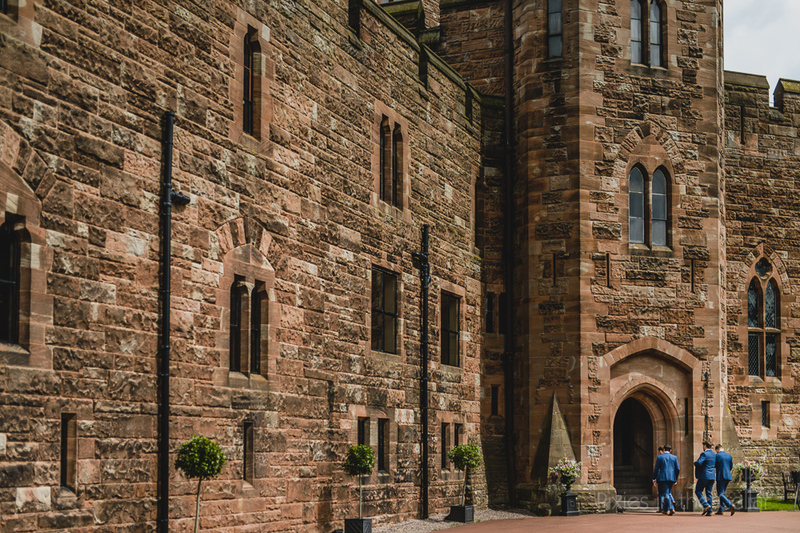 Schools out for summer! 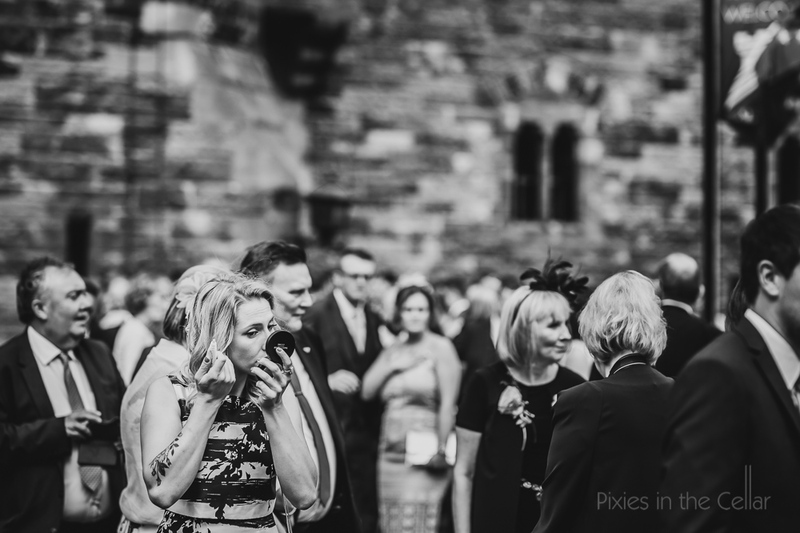 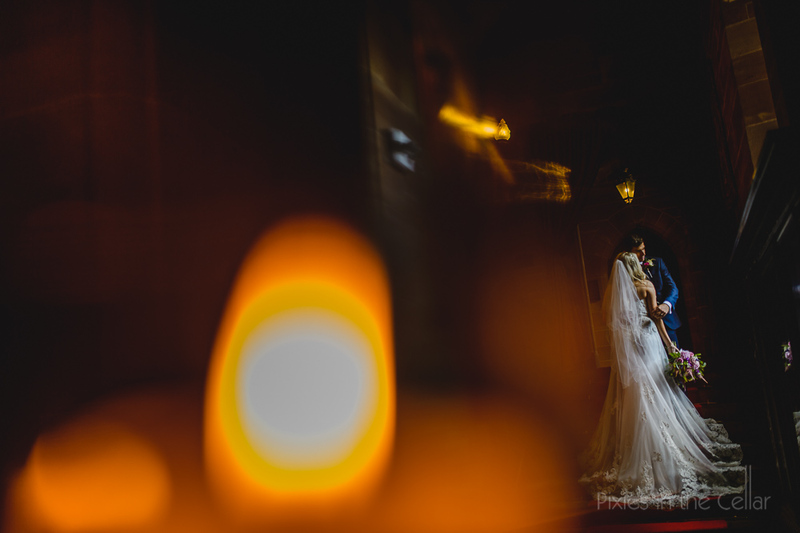 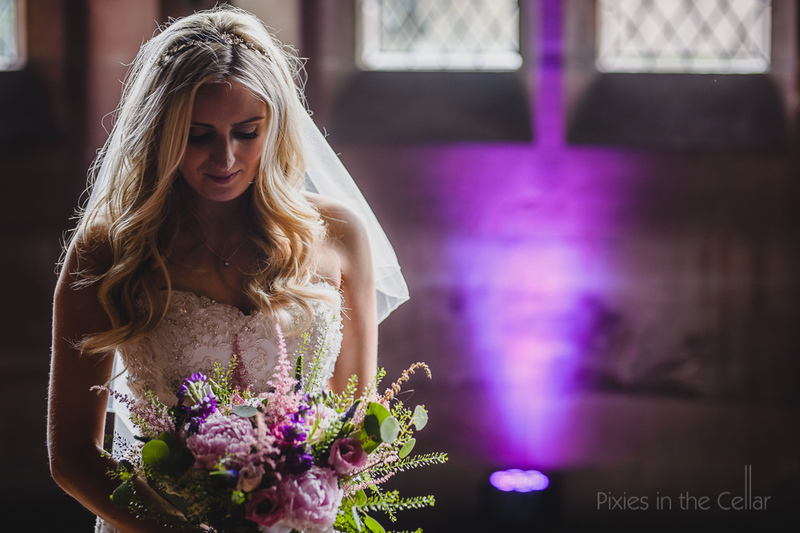 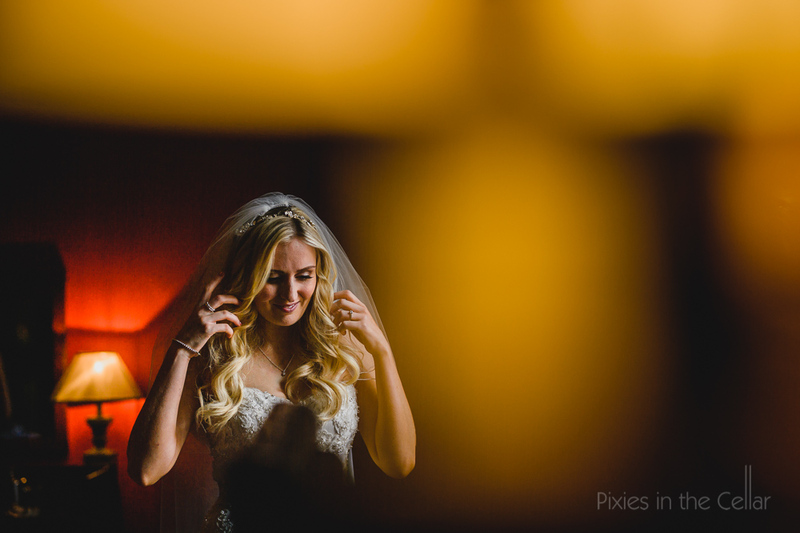 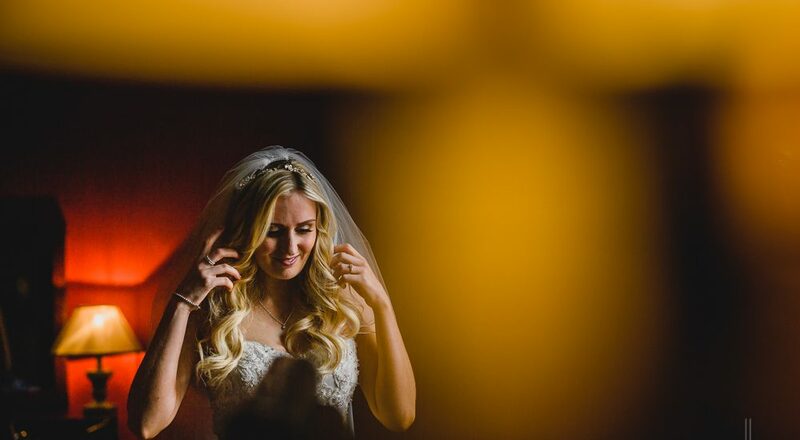 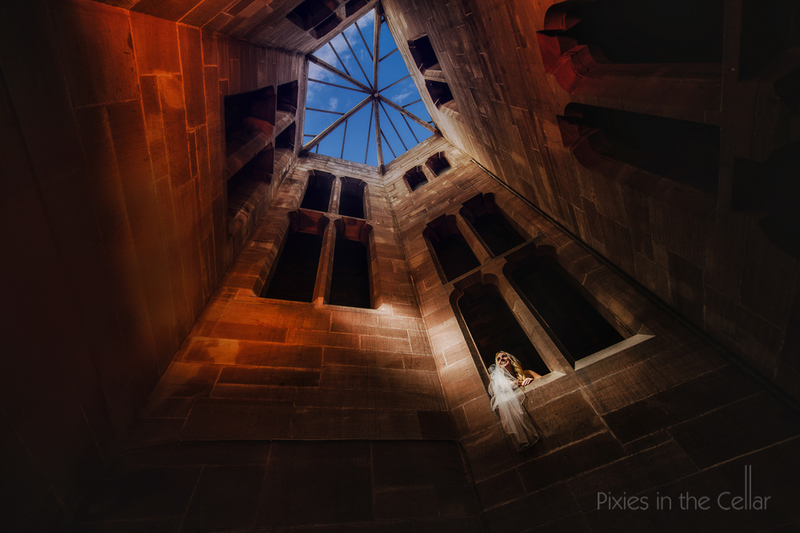 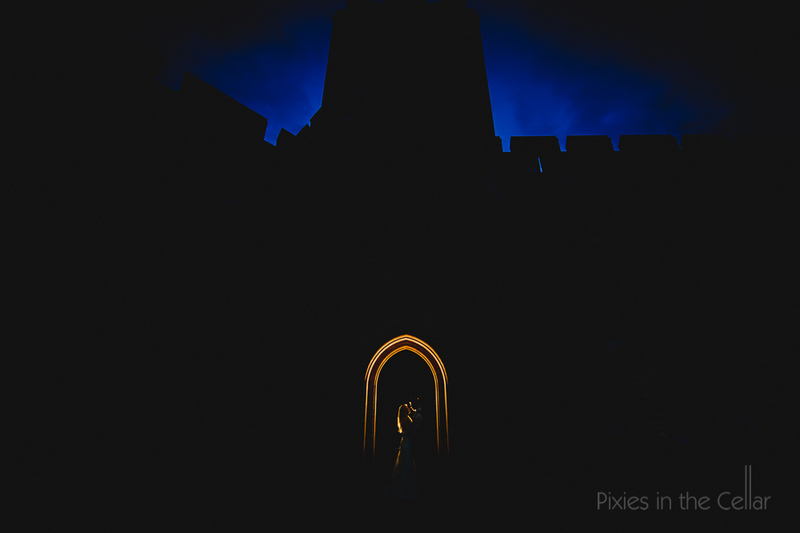 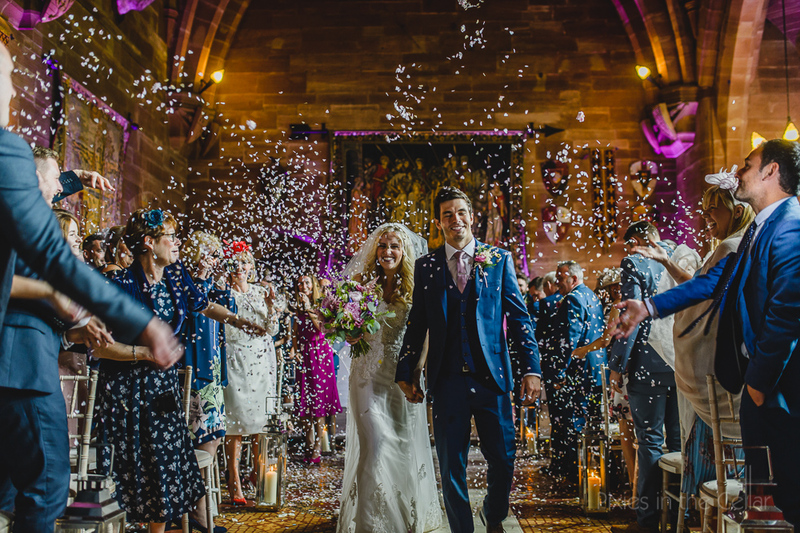 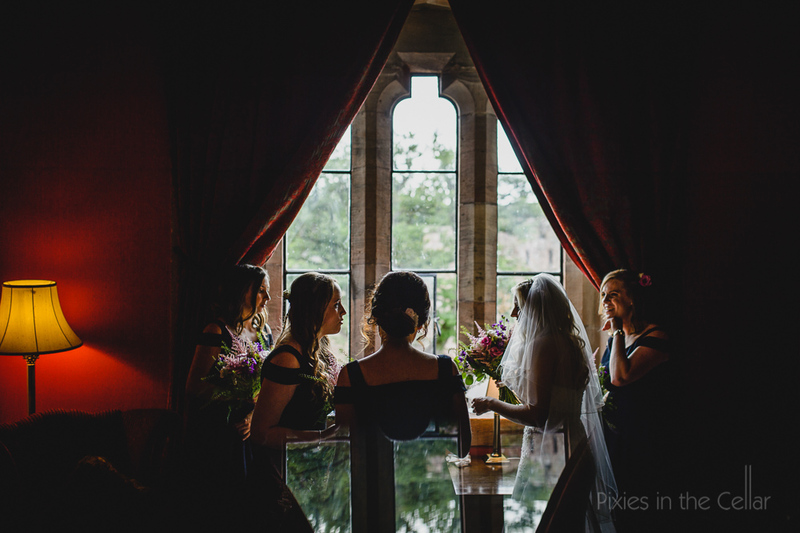 A Peckforton Castle Wedding. 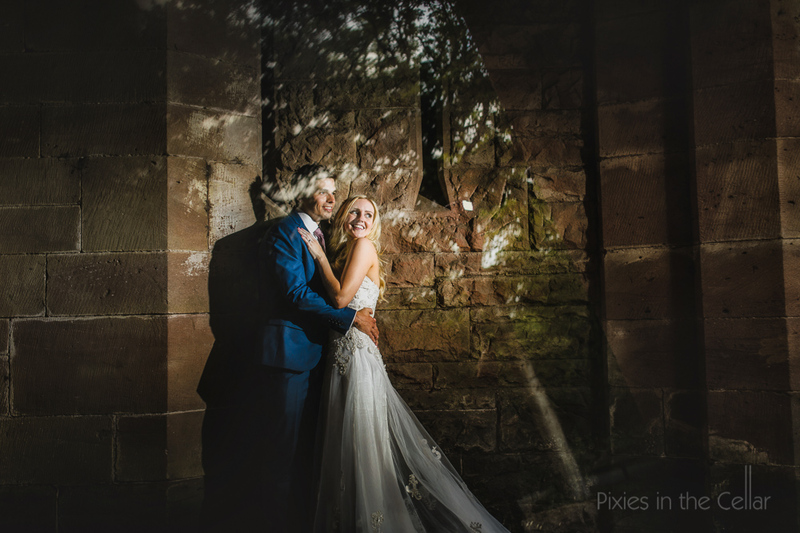 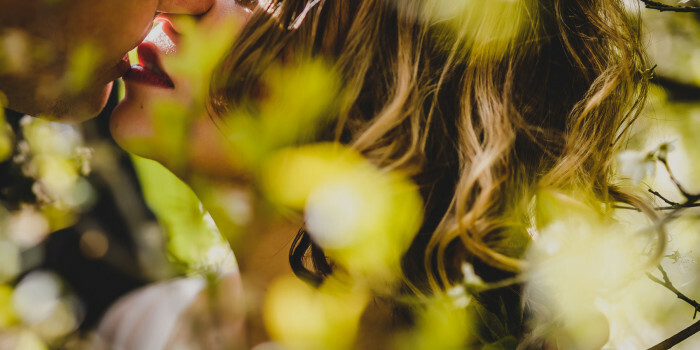 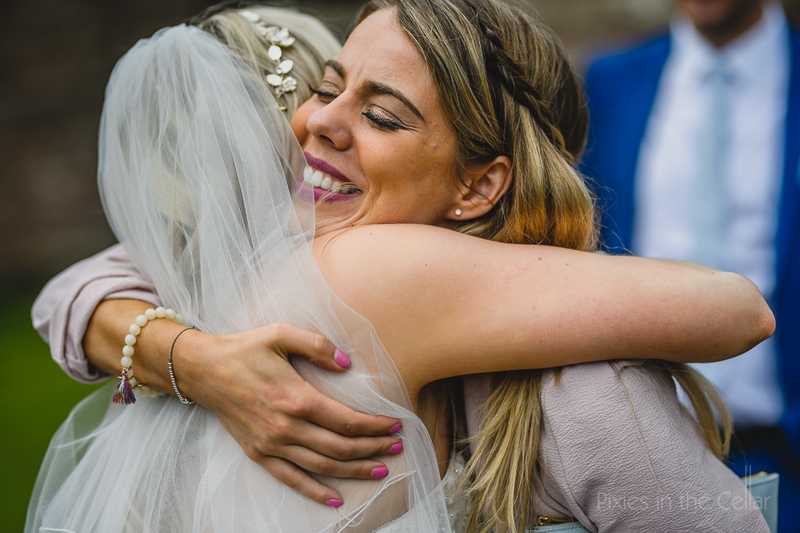 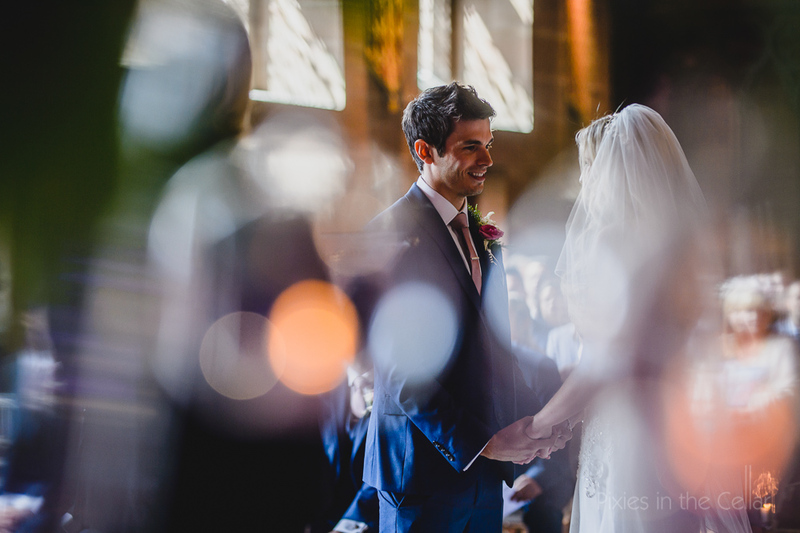 What better way to start your school holidays than getting married to your best friend, who also happens to be a teacher too :) And what better location for that quintessentially English wedding than Peckforton Castle, perched on it’s own hillside in the midst of the Cheshire plains. 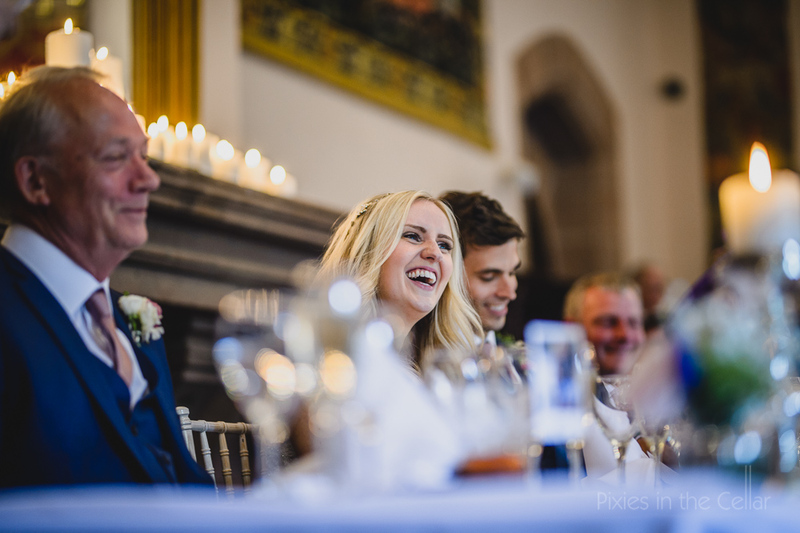 In a turret of a castle in the woods of Tarporley, the day begins surrounded by family, friends, fizz and giggles. 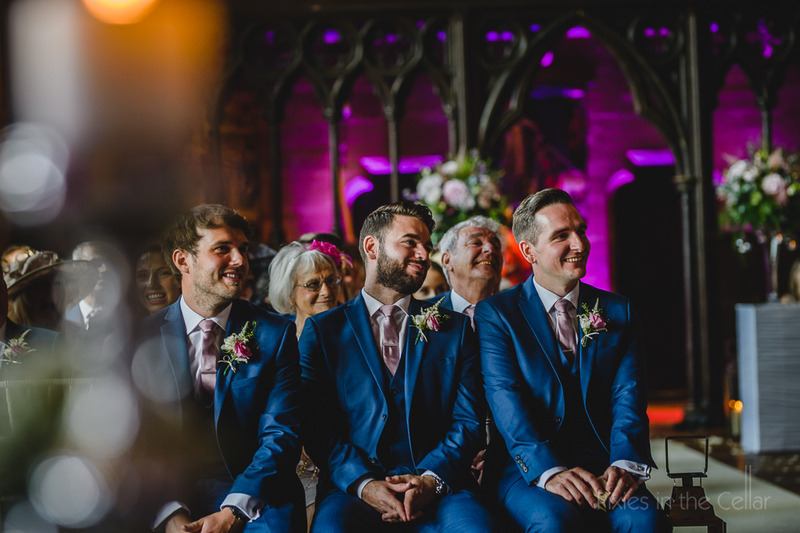 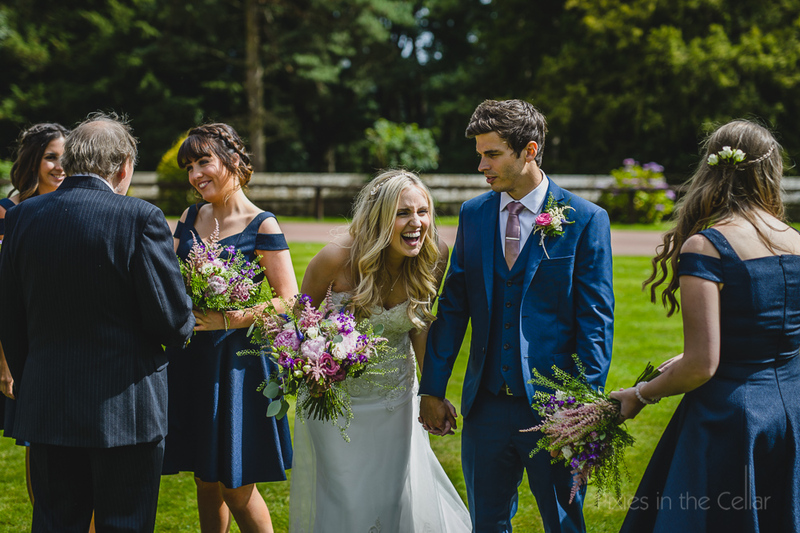 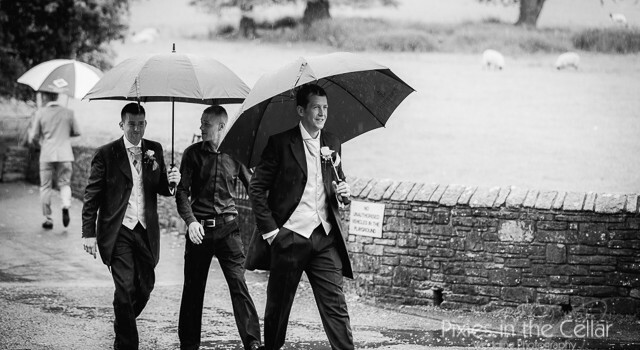 Whilst the girls prepped and preened Reece and the boys arrived looking equally as dapper in their blue suits, with just the tricky part to finish off, the button hole moment! 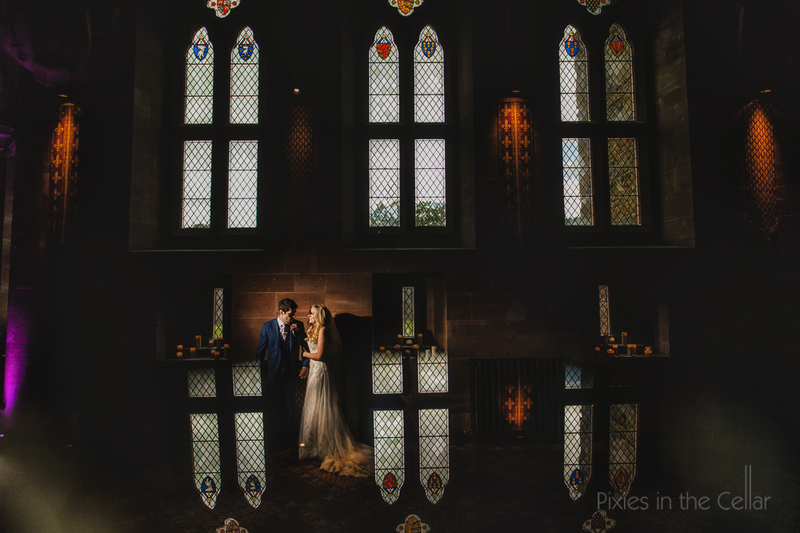 As ever the ceremony room at Peckforton Castle looked amazing, such a stunning room with those dramatic ceilings – just add a few candles and a gorgeous bride and groom for a magical wedding. 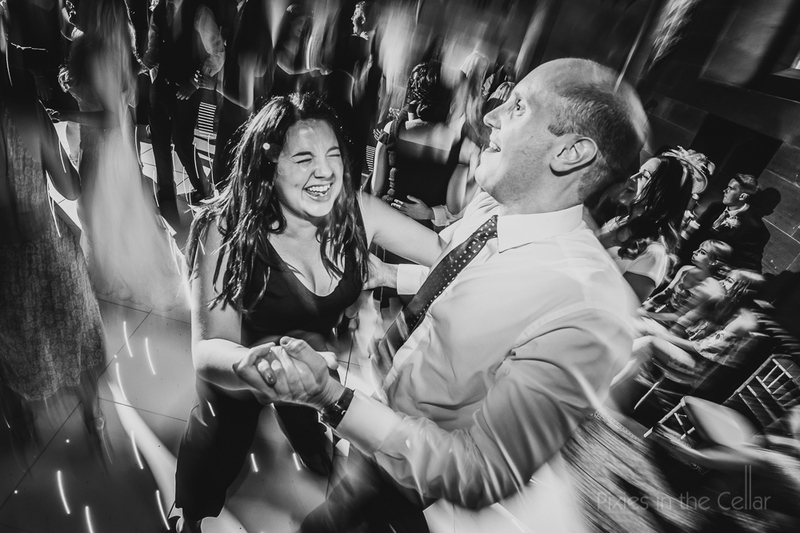 Guests from all over the country and the Irish contingent from Reece’s family added to the atmosphere with the room packed full of good vibes for this awesome couple. 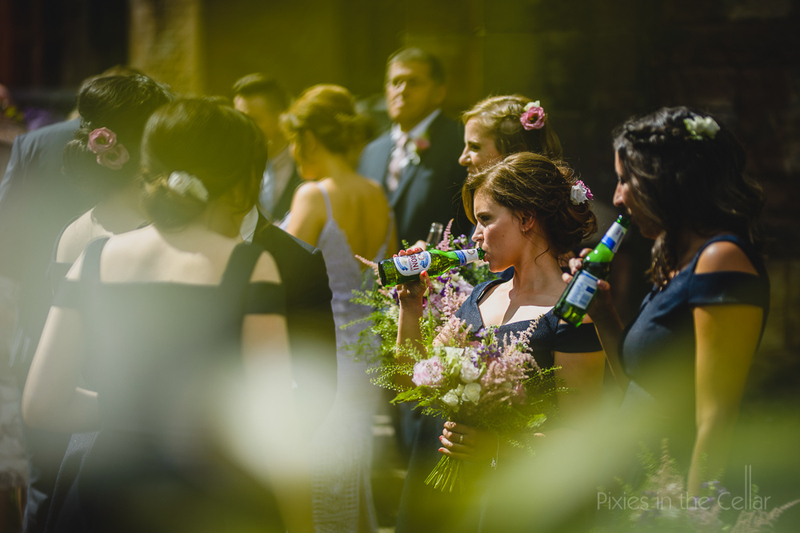 Crack open the Peroni’s time to celebrate! 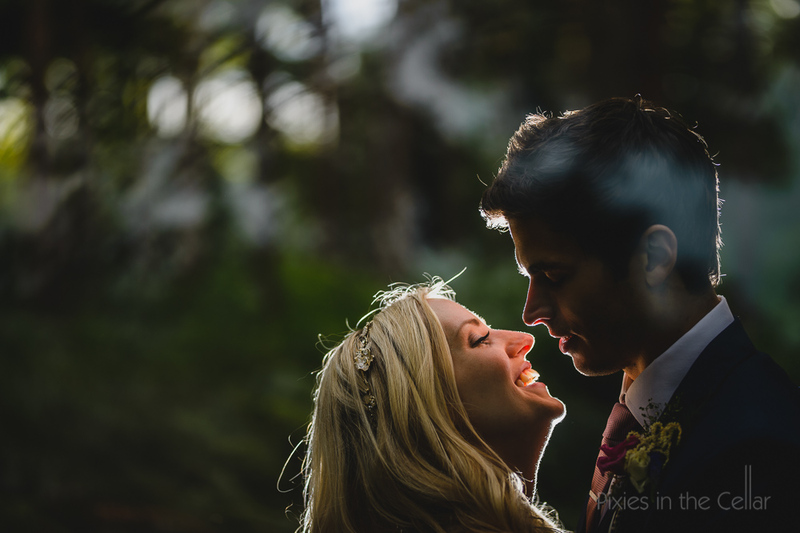 Charlotte had her wish and the rain clouds that had threaten earlier in the day had all gone their separate ways. 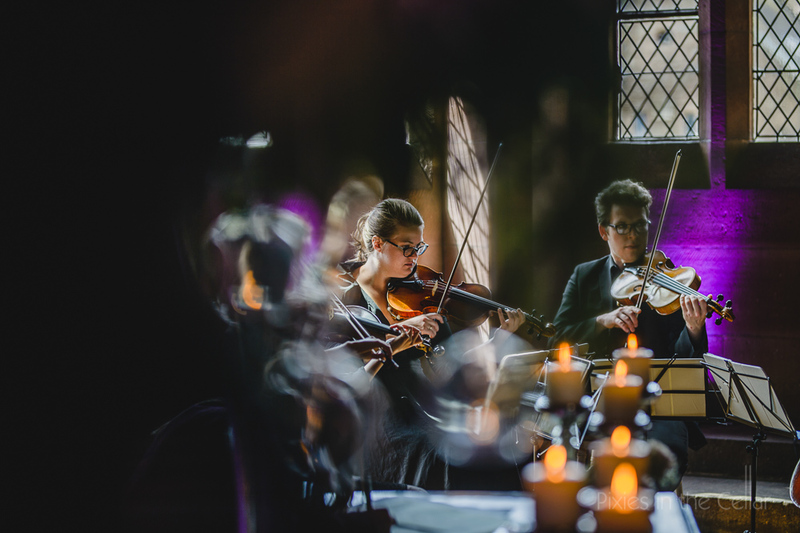 Drinks on the lawn surrounded by the notes of the string quartet wafting by all made for a perfect afternoon. 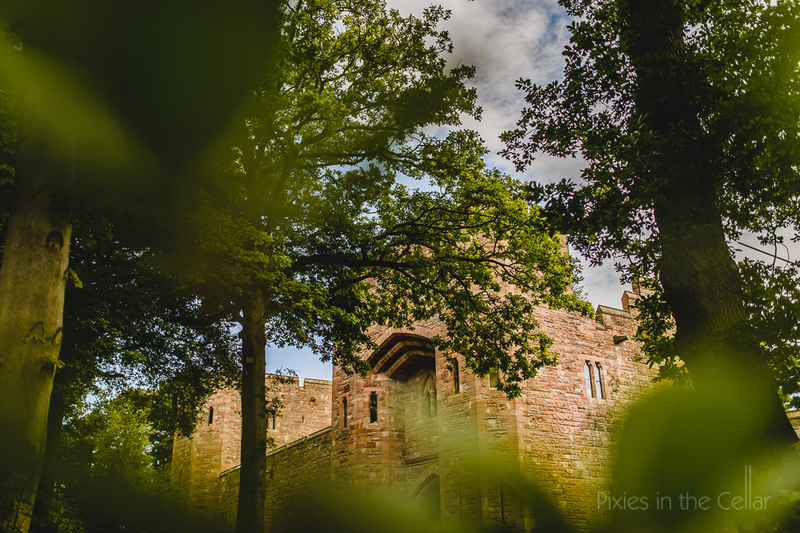 Pete had a trip to the roof of the castle, whilst Tom (video) had no need for climbing stairs with his trusty drone to hand to get those jaw dropping sweeping shots of the countryside around the castle. 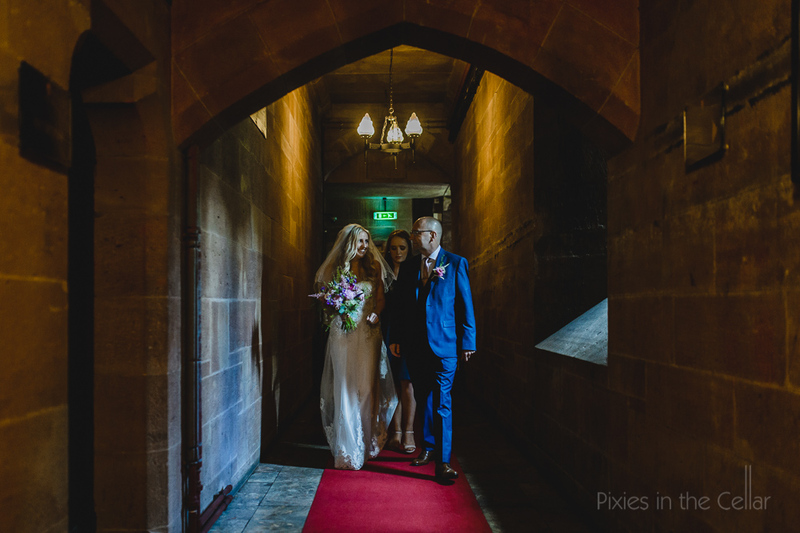 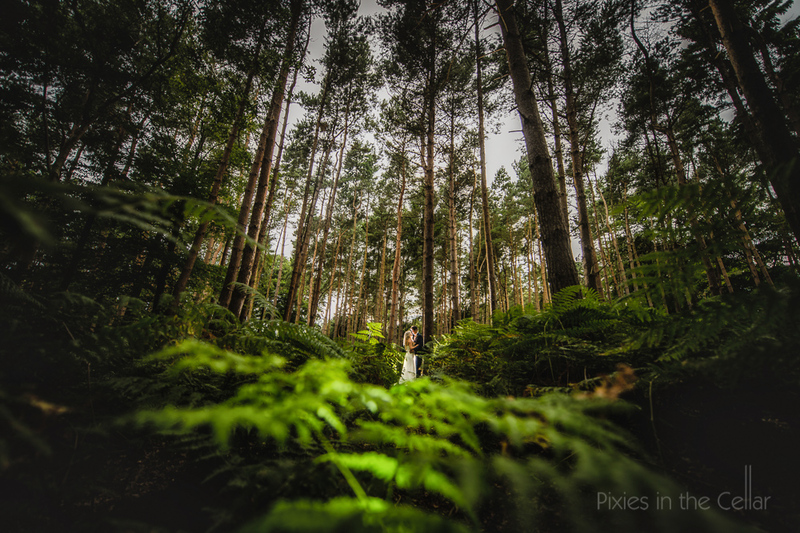 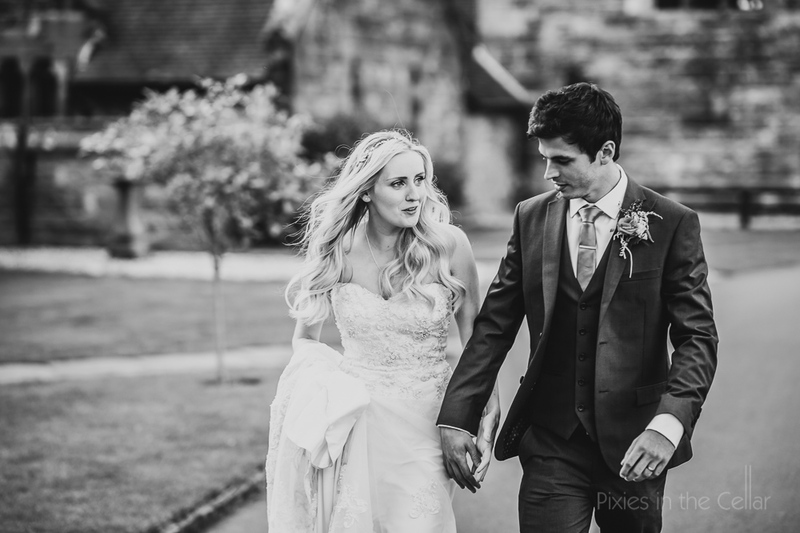 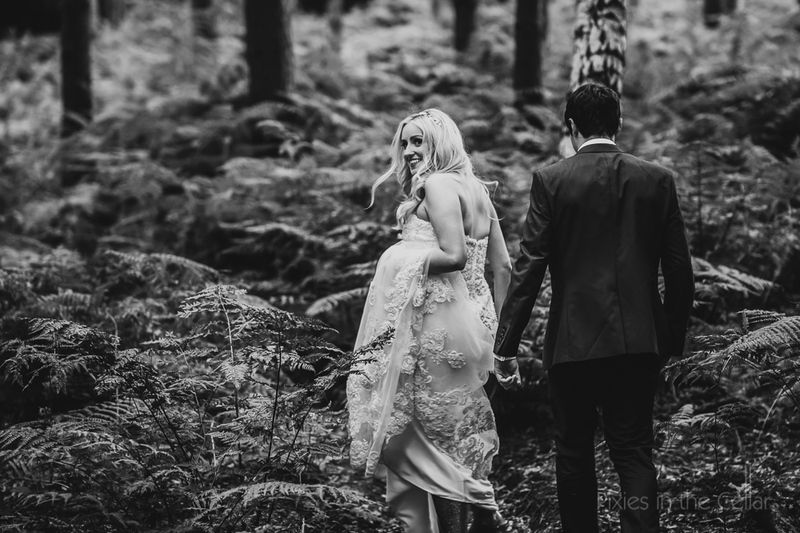 A leisurely saunter through the moody corridors and ethereal woods with Charlotte and Reece enjoying each others company as Mr & Mrs, whilst we snapped away for those epic shots of the newly weds. 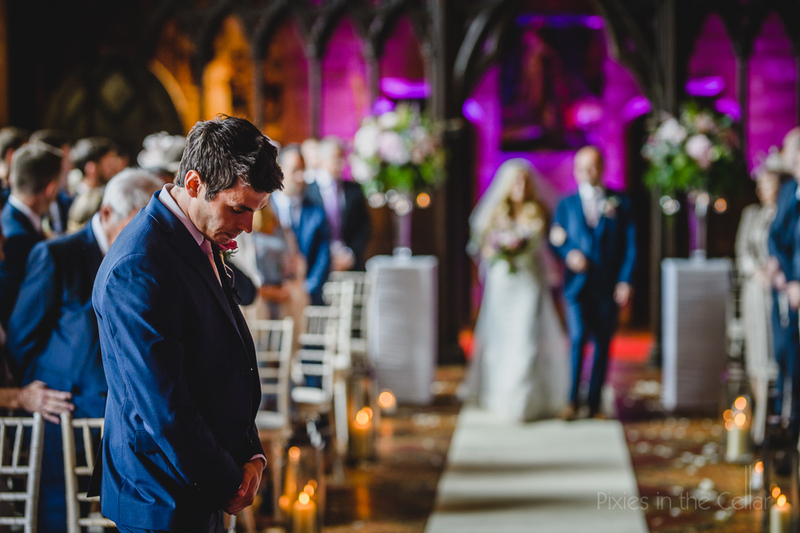 With hunger pangs well and truly satisfied it was time for the speeches. 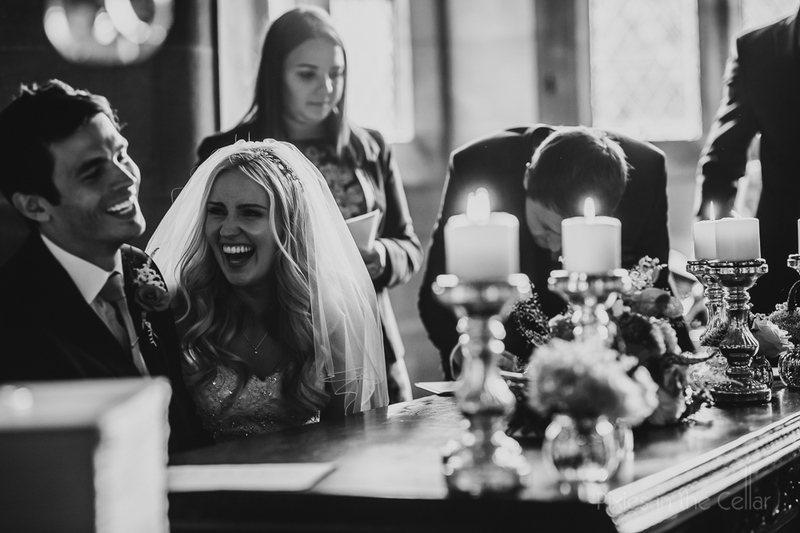 Charlotte’s mum had written an amazing piece of prose for the occasion which set the theme for the speeches with the tears flowing already! 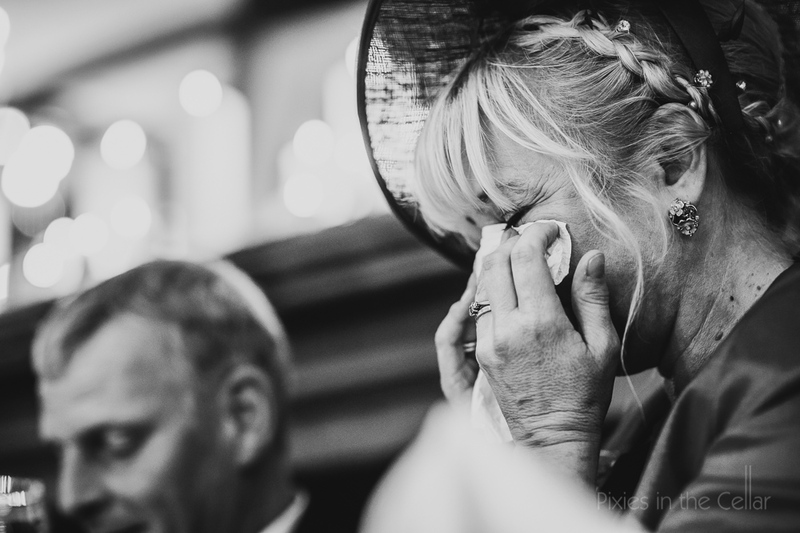 We do love a good bit of emotion ;) With the heart felt words said and time for the medals, with prizes for those guests that knew these guys the best. 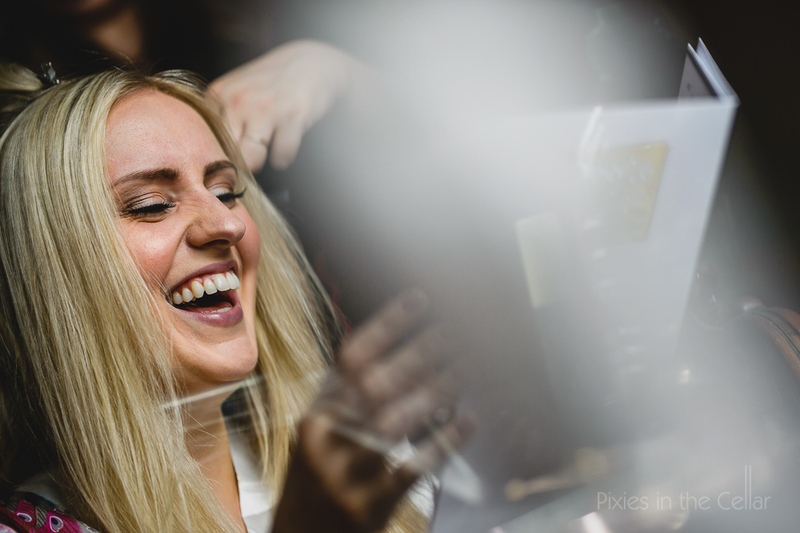 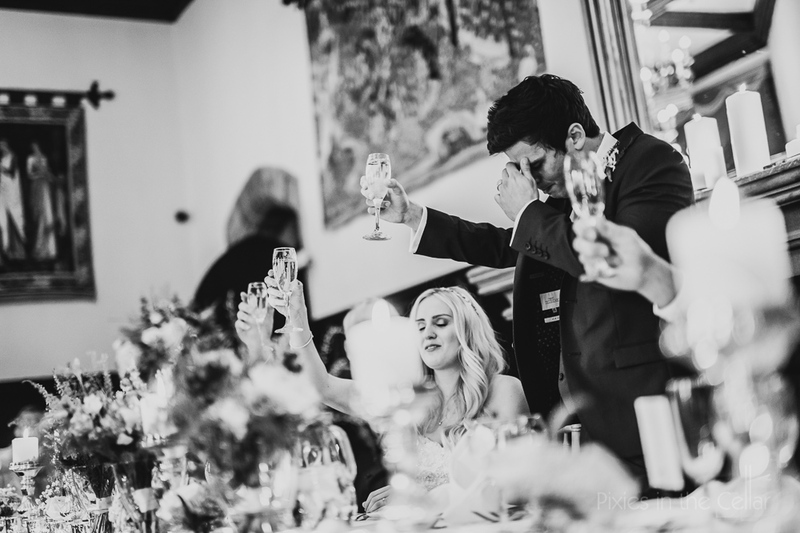 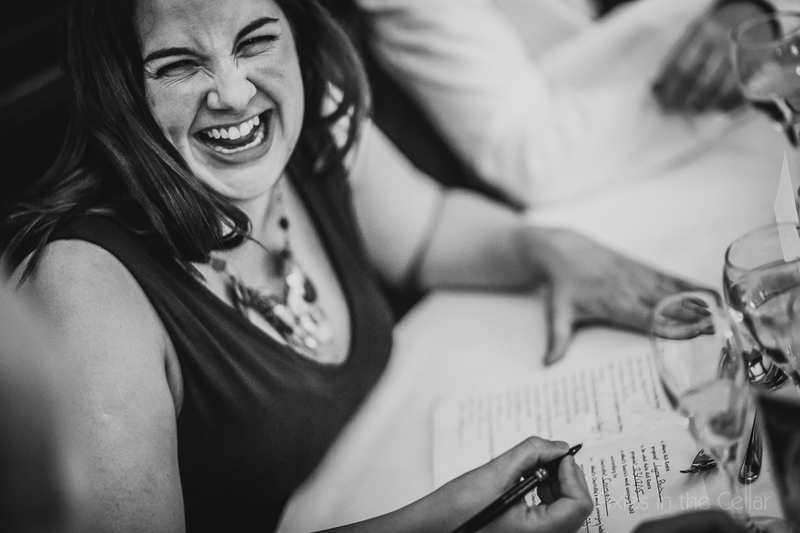 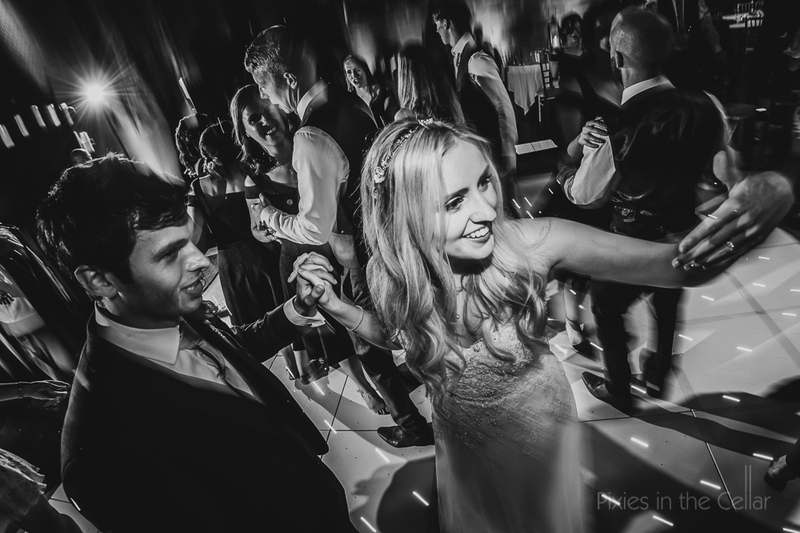 Gongs adorning their guests, fizz and toasts done and dusted….time for a bit of a boogie! 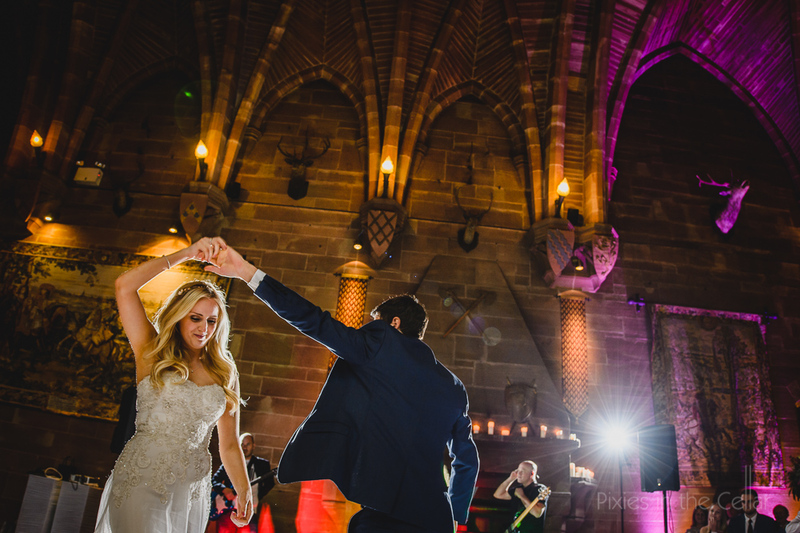 With the main hall at Peckforton Castle transformed into a glittering disco diva zone, complete with epic band and that amazing funky lighting, all that was left to do was party the night away. 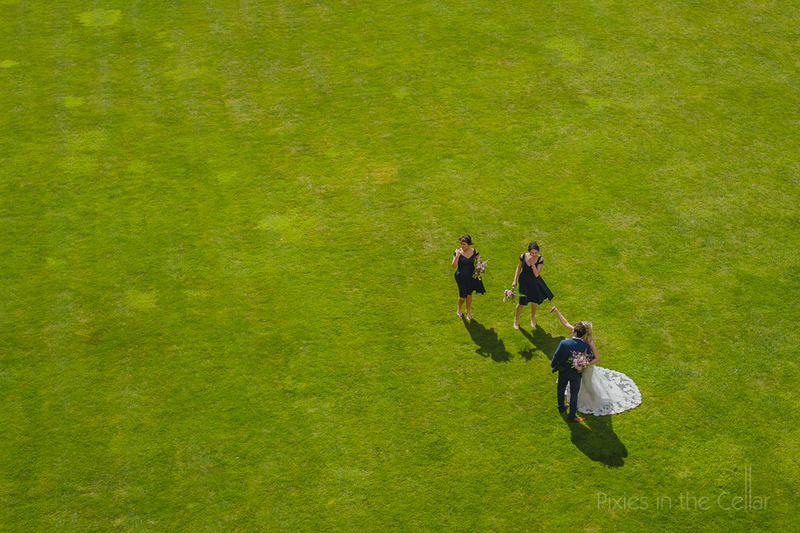 Hi Guys, amazing work as per usual, love the ariel shot of the B&G and bridesmaids, and that last image is my fav. 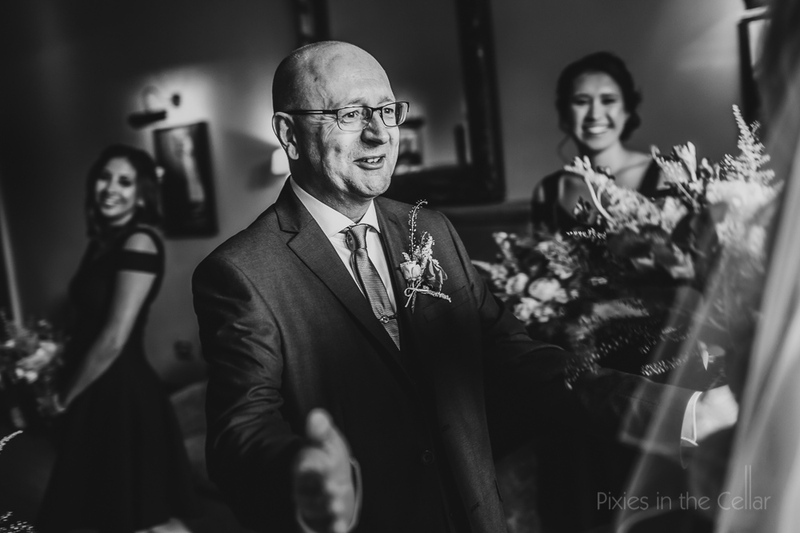 Big respect for your work. 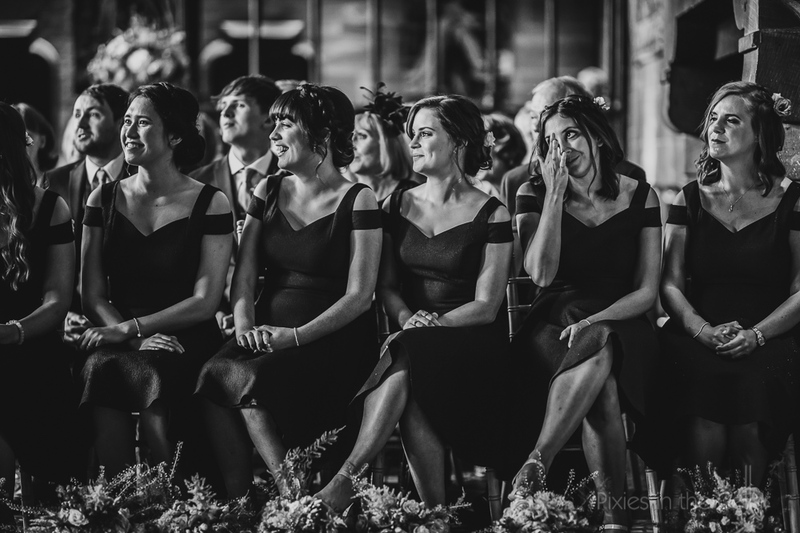 Stunning pictures!